The goal of Medical Advocacy & Outreach (MAO) and its service divisions is to provide competent and compassionate care and assistance to individuals living with HIV, Hepatitis C, and other life-threatening illnesses. Whether you need HIV specialty and primary care, need help navigating public assistance programs, need support to manage life problems that are impacting your adherence to treatment, or just need understanding, MAO can work with you to make sure your needs are met. To make an appointment, call our appointment line at 1-800-510-4704. Para nuestros clientes que hablan español, se puede seleccionar un traductor de idiomas del sitio cambiando la selección de idioma a español desde el menú desplegable en la parte superior derecha. También puede comunicarse con nuestro intérprete de inglés a español llamando al 334-386-2529. 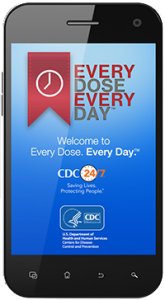 Download the CDC’s Every Dose, Every Day (E2D2) mobile app! by using the CDC’s Self-assessment Tools.